It has been decided to promote a partnership between the tourism departments of both governments so the Secretary of State of Tourism in Portugal can promote and manage the Jacobean routes. At a meeting a few days ago in Lisbon between the manager of Xacobeo, Rafael Sanchez Bargiela, and the portuguese Secretary of State for Tourism, Ana Mendes, has decided to promote a collaboration between the departments of tourism of the Galician Government and the Government of Portugal so the Portuguese Ministry of Tourism promote and manage the routes of the Camino de Santiago through its territory. In the meeting has also been proposed to carry out promotion activities between the two departments in international tourism fairs in the US, Brazil and China, which should involve TourSpain (responsible for "Spain brand" in the world and under the Ministry of Tourism). Ana Mendes has shown its intention to create a web site focused on the Jacobean routes crossing Portugal and connecting it to the official website of the Camino de Santiago to show "a unified vision of the Portuguese Way". 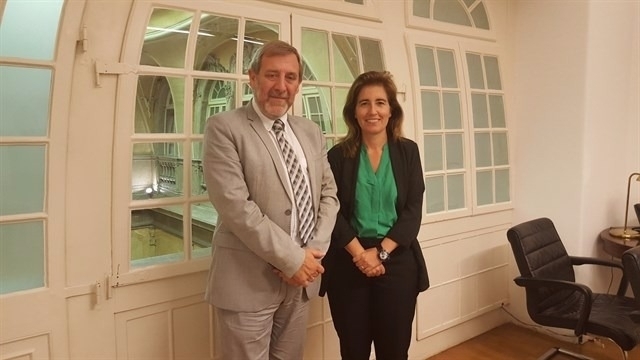 State Secretary of Tourism also she wants to visit Galicia to see first hand the management of the Camino de Santiago in the autonomous community, especially the network of public shelters. Portugal was ranked in 2015 as the fifth country that most pilgrims brought to the Camino de Santiago, with 12,481 citizens, while the Portuguese Way manages position so far this year as the second route most visited, with 35,616, according to the Xunta. In 2015 Portuguese route went through a total of 43,151 pilgrims. No sé si alguien sabe más de cerca en qué estado se encuentra en Portugal el Camino de Santiago, me refiero al apoyo institucional, promoción, etc. Por lo que he leído parece que todavía les queda mucho por recorrer. Buena, una noticia así siempre es de agradecer, sobre todo para los que nos gusta el camino.